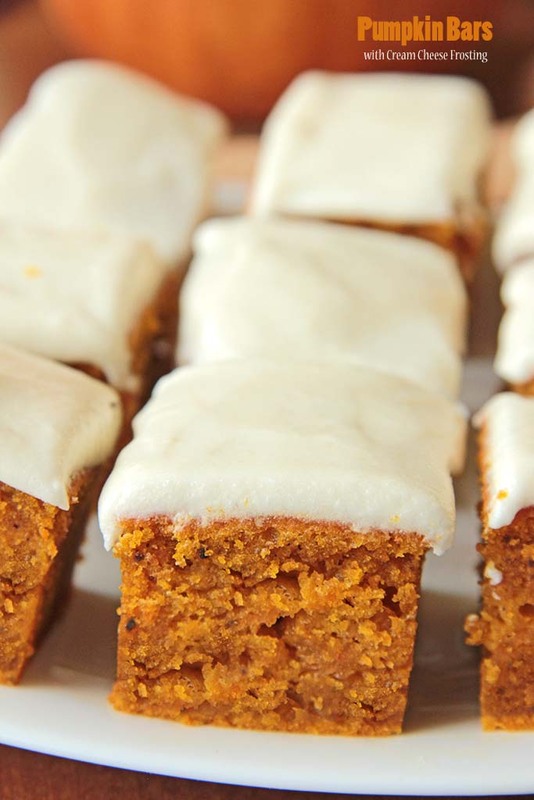 A perfect fall dessert, delicious pumpkin bars with cream cheese frosting. There are not a lot of things in life that define Fall more for me than Pumpkin Bars. Actually, they’re a hit with my family anytime of the year. 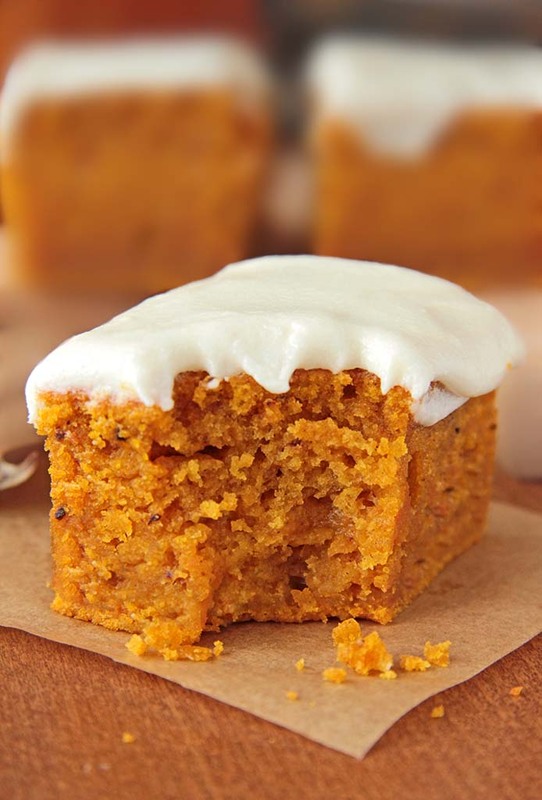 I love this recipe for so many reasons – first of all there’s pumpkin involved, second it made with rich cream cheese frosting. 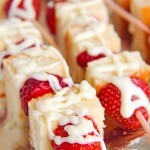 Combined, they’re the perfect way to fit your taste buds, or please a crowd of party-goers. 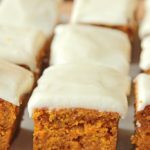 These pumpkin pie bars are a delicious cross between a quick bread and a delicate cake, loaded with pumpkin and topped with a delicate cream cheese frosting. Cut the bar into any size you like – depending on how many you are feeding. I’d also like to slice them into bite size bars, so they would be perfect for any upcoming holiday function, potluck or Nighttime snacking. Just sayin’. UPDATE : Sorry there was a “jelly roll pan” typo in the recipe. Thanks for pointing it out! Recipe calls for baking in an 9×9 square pan, jelly roll pan is a TYPO ! Hi. I have a question on instructions 2, 3, and 4. Do I combine the sugar with the dry or wet ingredients? Step 3 also says to combine sugar with the eggs, oil, etc. Also, do I mix the wet ingredients together first, Before adding in the dry ingredients? Or do I place the wet ingredients inside the “well” of the dry ingredients and then mix? 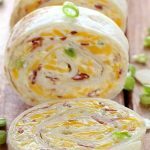 What is a jelly roll pan . A jelly roll pan is similar to a baking sheet or cookie sheet, but it has sides that are usually 1 inch (2.54 cm) deep. I also am unclear about when you are combining the wet and dry ingredients…do we put the wet in the dry well? Dear Amanda,when your wet ingredients become light and fluffy,pour in a well of dry ingredients. Stir gently, just until combined. Your recipe calls for a 9 x 9 jelly roll pan. The only jelly roll pan I’ve got is much larger like 10 x 15. I didn’t know jelly roll pans came in a 9 x 9 size. Wouldn’t a 9 x 9 pan make very thick bars? Can you please clarify if it is a 9 x 9 pan or a traditional jelly roll pan? Approximately how many bars does one recipe make if they were cut into approximately 2″ x 2″ squares? Thanks. Oh my gosh!!!! Okay I feel horrible! there was a “jelly roll pan” typo in the recipe. Thanks to all for pointing it out! I have no idea how It happened. I read it 3 times before posting, so I don’t know how that got left out! I’m sure it was midnight. I’m so sorry! Hi, not sure if you got an answer or not to your sugar question. Mix the sugar in with the dry, then mix the wet ingredients and then fold all together. I just put my eggs, oil, etc. in my mixing bowl, mix a little, then add the small dry ingredients, mix a little and then add the flour and sugar. That way I only use one bowl. Just make sure you put all the ingredients in that it calls for and mix it all up. It is pretty hard to screw up most bars and cakes. I too have the same questions. 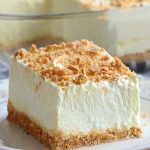 It seems people post recipes on this site without ever reading them. There is a step left completely out of this recipe. It does not say what to do with the dry ingredients after making the “well.” Also, the sugar is put in both the dry and wet ingredients! I also have a problem with people who say “flour” without ever saying “plain” or “self rising.” I know you add baking soda and salt to “plain” but lots of people don’t know the difference. I’m making the bars now, they are in the oven. I just hope they turn out OK, they look good in the photo. You seem a bit rude, these are free recopes posted by people, typos and errors happen. If you don’t like it look for another or send this nice blogger a check and maybe she’ll send you a perfect copy bound and typed. I like the recipe, I appreciate it because I’m always looking for new pumpkin stuff! Thank you! What can I use if I don’t have a stand mixer? A stand mixer just makes it “hands-free” mixing. If you have an electric hand mixer, that will work just fine. Hope this answers your question. Did you realize that you have vanilla listed as an ingredient for the pumpkin bars and as an ingredient for the frosting, however, you don’t have it listed in the instructions for the bars? I completely left it out of the bars. Thankfully I had my husband taste the batter (before realizing had left the vanilla out) so I know it tastes okay. My jelly roll pan is bigger than 9×9 what should I do?? Are the 9×9 dimensions correct? Usually a jelly roll pan is 13×9 or larger?? 9×9 is a square pan….appreciate the feedback and the amazing recipes! Parchment paper makes it easy to remove bars and other baked goods from baking sheets and almost eliminates cleanup, but you can use nonstick cooking spray as a great alternative, or grease and flour if you prefer. Hi, I’m also wondering about the pan size…..9×9 or jelly roll pan?? My 9×9 is a deep pan and my jelly roll is thin by 10 x 13. which is better to use???? I am still confused – do I use a 9 x 9 pan or a jelly roll pan? The response is not clear. I am really anxious to make this recipe and want to do it right the first time. I’m sorry, I should write it more clearly. Recipe calls for baking in an 9×9 square pan, jelly roll pan is a TYPO ! Please don’t be anxious, I’m sure that your Pumpkin Bars will turn out great. 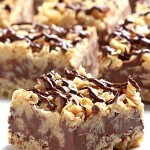 Since I’m Type 2 Diabetic, I have to ask, do you have a carb count per serving because these look yummy! The photo is tempting me to try this recipe immediately. Reading through the recipe instructions, however, you should probably edit them for clarity on step 3, because you don’t say to add the wet ingredients to the dry ones. I know what you mean, and realize that you want us to put the wet ingredients into the well that we made with our dry ingredients and stir to combine. Also, the double numbers before each listed step is a little funky. Thanks for this recipe. I’ll give it a try! Do I use self rising flour or all purpose flour? Hi Marilyn,you can use all purpose flour. Does this double well for fitting into a large jelly roll / large cookie sheet? A quicker way to make cream cheese frosting. Just beat 8 oz cream cheese with one jar of marshmallow fluff. Super creamy and not so sweet. I made the Pumpkin Bars tonight and will use your cream and marshmallow fluff recipe. I’ve had a jar of fluff that I wanted to use. It sounds yummy. Not the author but I do a lot of low carb and sugar free baking. I’m sure you don’t have to frost them or you could get sugar free frosting from the grocery store, but the bars will just be pumpkin cake without the frosting so it could be dry. However there is a cup of sugar in the bars themselves too. You could probably replace it with splenda or some other sweetener that won’t impact your blood sugar. First, my wet ingredients never got “fluffy”. I did use fresh pumpkin instead of canned. Second, I just gently combined the dry ingredients into the wet in the mixer bowl, just until combined. Third, in my 9×9 pan, it took more like 45 minutes to bake and it rose like a cake. I think a 9×13 cake pan, not a 9×13 jelly roll, would have given me a true bar. Looks and smells delish! Going to frost it and devour it! I will make these again using a 9×13 cake pan, for sure! Can you add the step where you add the wet to the dry ingredients so I can print this out!! I’m actually trying it today and wanted to print it if they turn out good thank you!!!! 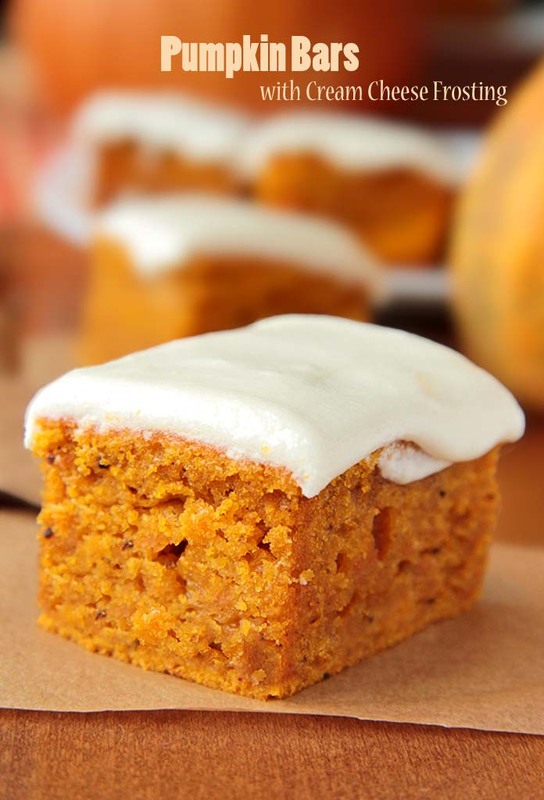 pumpkin bars w/cc frosting….can i use loaf pan? Hi,Pat.Yes,you can use loaf pan. Hi there, I have all the ingredients assembled to make a couple of batches. I”m wondering though if you have tried converting this into a muffin recipe? The best muffin I have ever had was a Pumpkin Raisin (golden) that was the Tuesday special at the coffee bar I used to go to 30 years ago! What I wouldn’t do for that recipe! I have tried everything to no avail. Help! The muffin top was superbly crunchy then super moist inside & served piping hot. I then smothered it in butter. Totally decadent. Breakfast of champions. Aren’t you glad I didn’t ask about the jelly roll pan???? After combining the wet and dry together it seems a little dry. Any suggestions? As I’m getting older I try to do my cooking as easy & simply as possible. I totally understand making from scratch, but if I can cut corners to make it quicker & easier, that’s what I like. So, is there a way I can use a cake mix to make these instead of totally from scratch & if so, what should eliminate and keep? Tried these and they are wonderful!, I changed out half of the oil for applesauce. If you like pumpkins bars these are tasty and very easy! I thank you for this recipe. I just want to know if I follow the recipe and just add the dry ingredients to the wet in the stand mixer will it ruin it or do I have to make the well in a bowl and put the wet ingredients in the well and hand mix?? Hi Jodie,when your wet ingredients become light and fluffy,pour in a well of dry ingredients. Stir gently, just until combined. Have you or anyone else tried these as cupcakes? Just made this using a 9×9 and it’s definitely more like a cake. Took mine about 45 minutes to be done. Next time I’ll try using a bigger pan or maybe even a bundt cake pan. Looking forward to trying it, it smells delicious! Just have to wait for it to cool so I can ice it. I think this pumpkin bar recipe needs to be rewritten with better instructions. Also this should be made with a 15x10x1 jelly roll pan. Thank u for the recipe. pumpkin is one of my favorites. I can’t wait to make this. With Fall in the air this will ne perfect. These look delicious! I love pumpkin all year long! Pumpkin is one of my favorites. I love it so much. I will it tonight. Thanks for sharing this recipe.